Vodkamom: Wait, are you related to a boy named Frank? Cause when you open your mouth, his voice comes out. Wait, are you related to a boy named Frank? Cause when you open your mouth, his voice comes out. We enjoyed a visit this morning from an enthusiastic Game Commission officer. He fascinated the children with his tales from the woods and all the various animal pelts that lined the tables. As he discussed herbivores and omnivores, Jack raised his hand enthusiastically. Oh sweet Jesus, that boy is money. Pure, gorgeous money. Remember, you are their happy place as well. 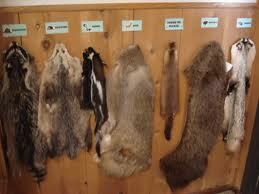 Were any of the kids grossed out by the pelts? He is never ending source of laughter! Have a great weekend! What an interesting show and tell guest. To see Jack's thought process would be . . . priceless! Sorry, I don't get it either! Why is that funny? ?